I’m discovering the benefit of buying soundtracks to movies I haven’t seen – because that way, I have no visual association with any of the tracks and I am free to attach any significance I wish. (Or, as in the case of Tron: Legacy, the story is so nonexistent that I am able to disassociate the soundtrack from the movie with relative ease.) Don’t get me wrong, I love all good soundtracks. But you listen to “Wheel of Fortune” from Pirates of the Caribbean 2, and all you’re going to see in your head is three guys having a ludicrous swordfight inside a giant rolling waterwheel. I write what I hear, and let’s be honest, how many three-sided wheel fights do you think I’ll make in my career? 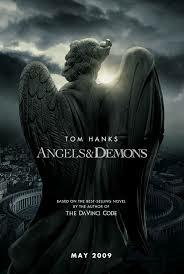 Most recent purchase: I don’t think you’ll ever get me to see Angels & Demons, but I have the soundtrack. Why? Because Hans Zimmer. Was that even a question? Seriously, if you’re into music that has no words, check it out. I realized as I was listening to the track “Air” that it matched almost perfectly to one of my big “WHAT JUST HAPPENED” scenes at the end of The Thief, and it’s so much fun to have something on my iPod that makes me think of nothing else but my own work. I’m actually hoping to have a few days with the Man of Steel soundtrack before I go see the movie, just so I can form my own mental images around the music first. As it is, all I have is the one-minute preorder track on iTunes, and this marvelous preview that seems to be what they’re using for the movie trailer. I’ve never liked Superman – I should write a longer post about why, at some point…maybe after this movie. The short version is that I think he’s irrelevant to modern culture for a lot of reasons, and that’s why you can’t make a good Superman movie, because modern audiences are incapable of perceiving his story as compelling. However, I’m honestly willing to give this one a shot at changing my mind, because Nolan and because Zimmer. Eventually I’ll get around to posting some of the music that most inspires particular characters over at Archetype – probably in June sometime. In the meantime I will continue to enjoy baffling other drivers with the violins and choir music pouring out my car windows. Tags: delta draft, music, writing. Bookmark the permalink.